In early 2014, the Royal Ontario Museum opened its new Mining Hall that featured a unique exhibit designed and developed by Aesthetec Studio. 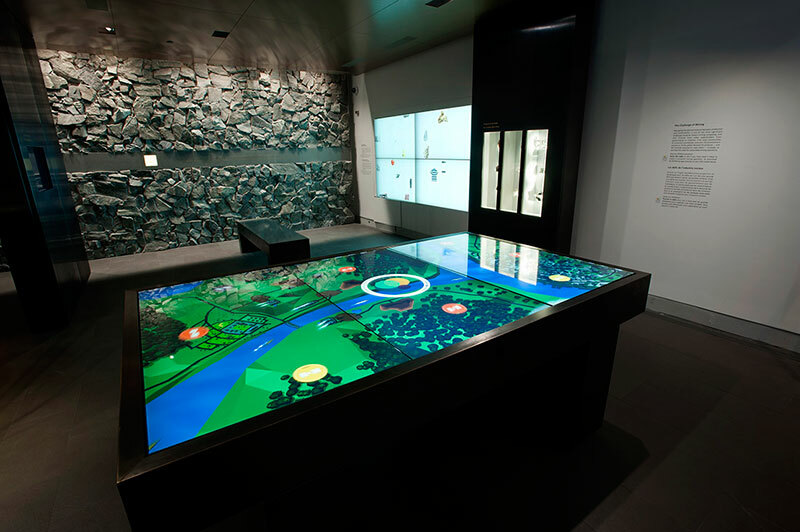 The ROMining Table is a 8-player multi-touch gaming table that showcases the complexities of the global mining industry and facilitates discussion around a set of complex and intertwined issues. Comprised of three 55″ MultiTaction displays, ROMining renders a beautiful landscape that players are tasked with keeping balanced. Each player takes on a role within a mining community, and through a series of thought-provoking questions makes decisions that affect their role, their community and the other players. At several points during game play, players need to gain the vote support of other players at the table – requiring them to try to win others at the table to their side. This mix of in-game content and above-the-table discussion allows educators the opportunity to approach the challenges raised by modern mining in a fun and dynamic way. As a companion to the table-based game, ROMining is also available as an app for iOS devices. You can play a concise version of the home, or bring your device to the ROM and connect to the table via Bluetooth to play along with the others at the table. 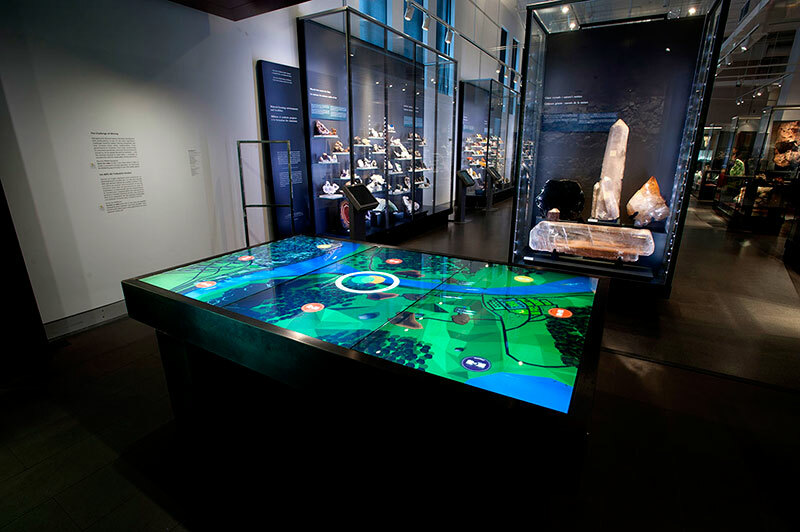 This ability to connect and join the game on the table makes ROMining one of the first major exhibits to use mobile devices as part of an in-gallery experience and for deeper exploration of the content at home.